Misr International University is always working on delivering the best quality of education and encouraging its students to get the best experience through studying and practicing their majors. 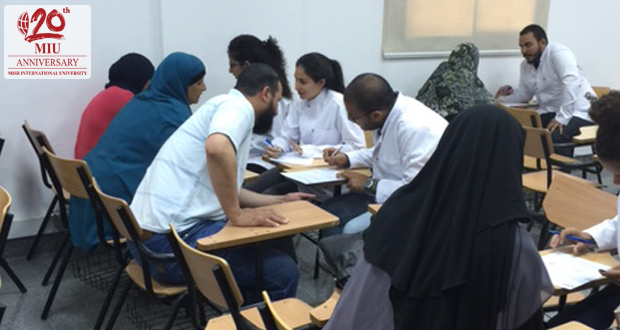 The innovation of participation of second year dental students in real life scientific research began in the Spring 2014 semester and continued through Spring 2015 under the umbrella of the dental public health curriculum. 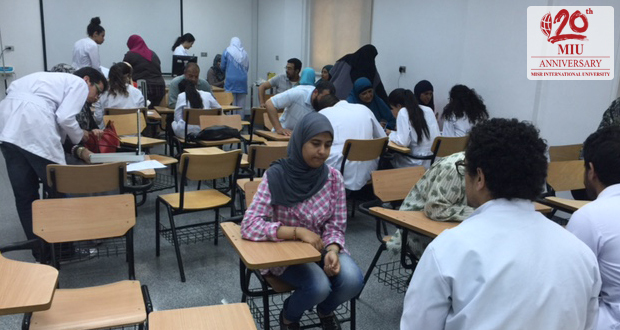 The research involved a random sample of patients attending MIU Dental Clinics. 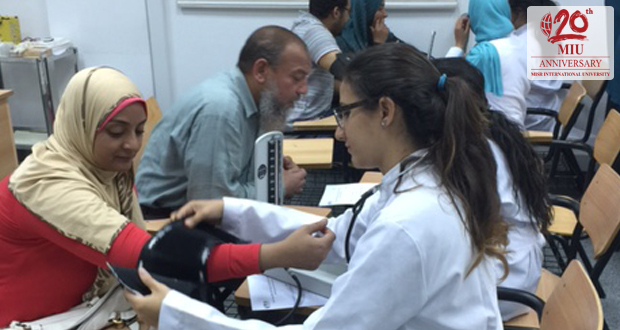 The success and satisfaction with this experience were expressed through the students’ involvement, reactions as well as MIU staff members and external examiners’ feedback. A new research project was conducted this Spring to assess the relation between Oral Health-Related Quality of Life (OHR-QOL), as well as general and dental health. The research involved the assessment of OHR-QOL through a questionnaire, measurements of blood glucose level, blood pressure, Body Mass Index (BMI) as well as oral hygiene knowledge and behavior. All students participated in this study and their feedback was very positive and enthusiastic. Students expressed appreciation for their early exposure to real scientific research as well as their interactions with dental patients.